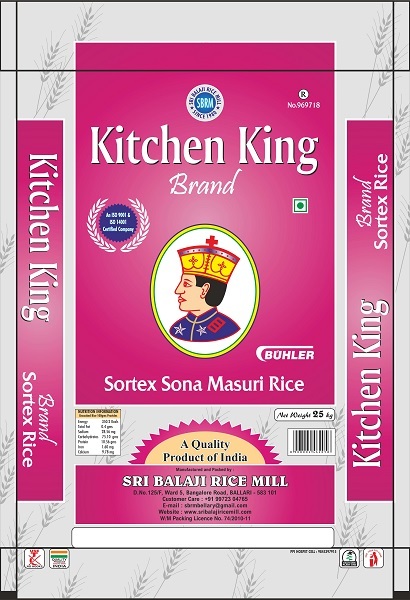 We are the manufacturers of high quality Sortexed Sona Masoori Silky Steam Rice & Raw Rice. 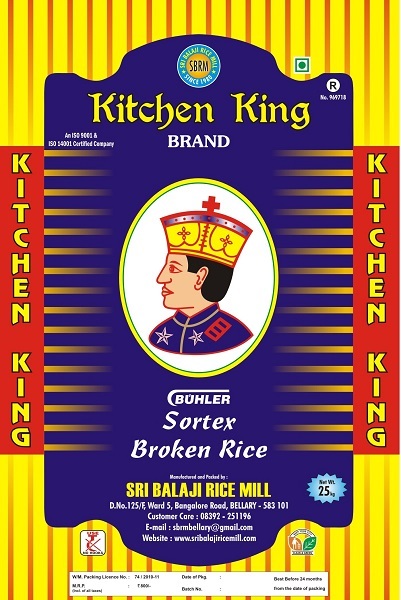 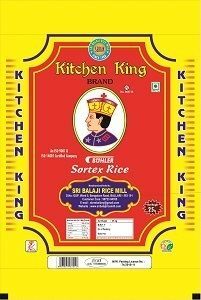 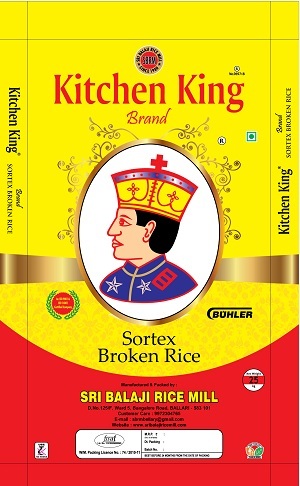 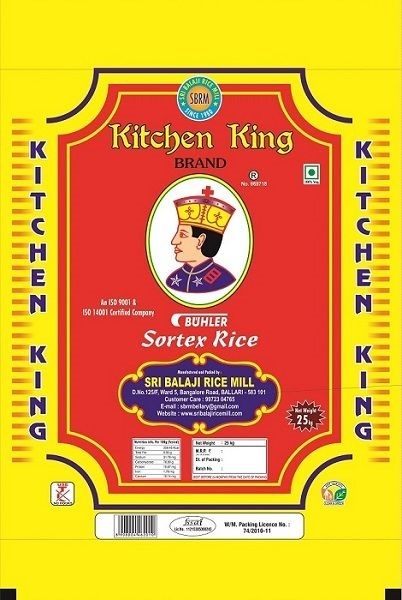 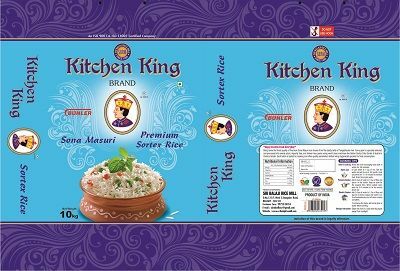 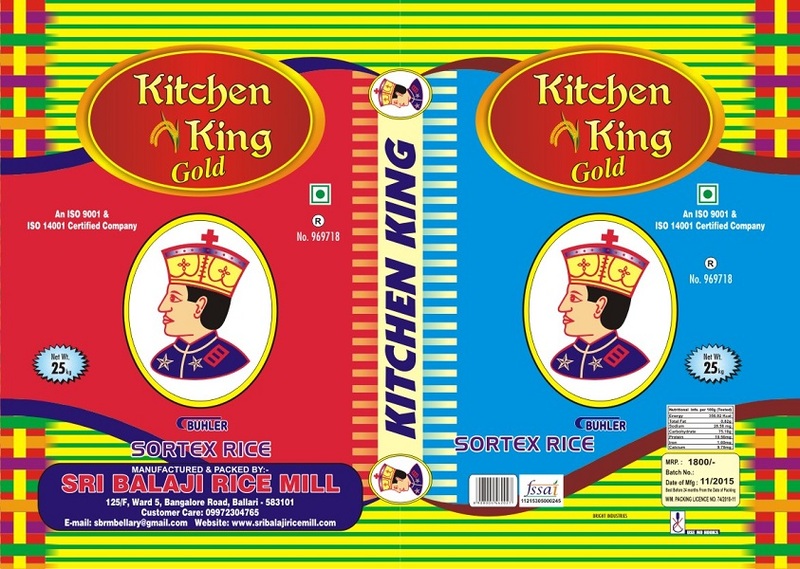 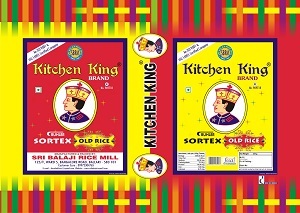 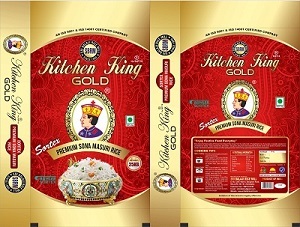 The products are marketed under our own brand name of Kitchen King® which has been registered under the Trade Marks Act, 1999 (Under No.969718). 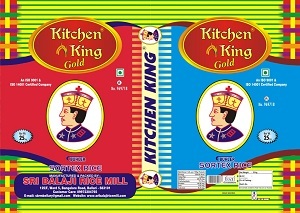 The Rajah logo on all our bags is also copyrighted and symbolizes the genuinity of the product from our factory. 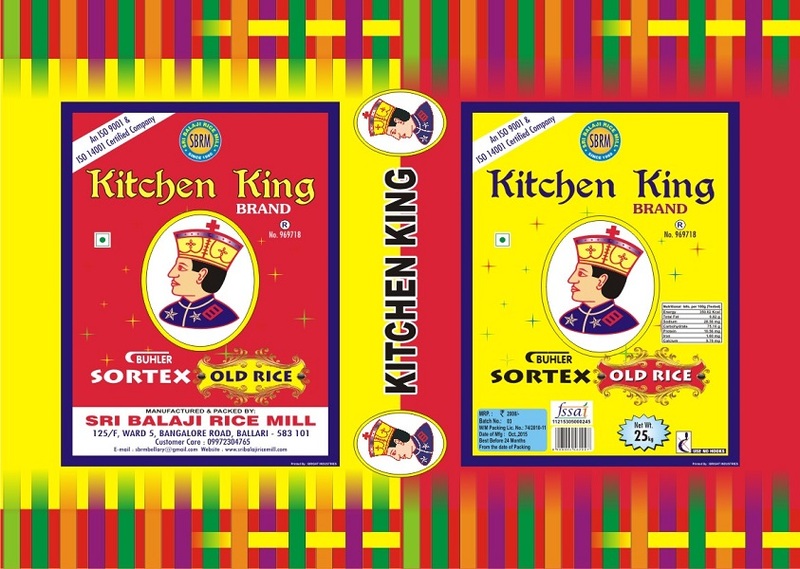 The products come in packaging of 10 Kgs, 25 Kgs & 50 Kgs, in both Fabric and Plastic Bags. 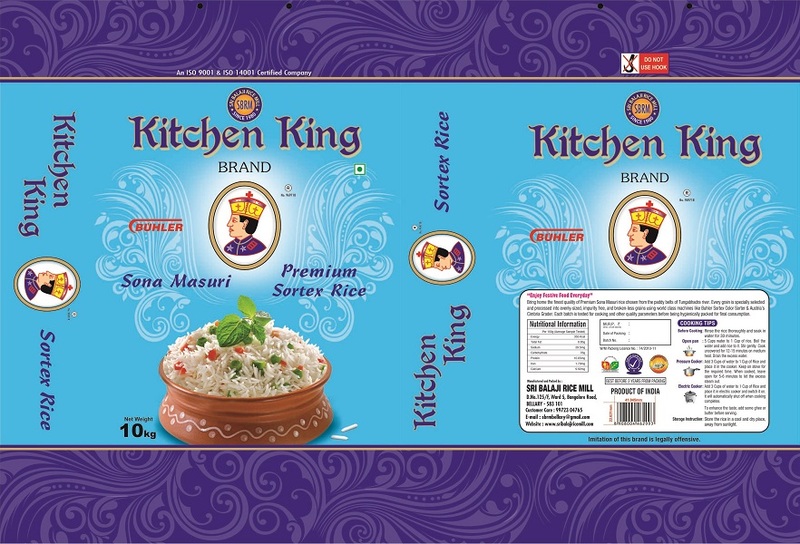 Since November 2015, we have also started use of Hologramic Security Strips for added safety of our product, brand and customers.